The Postal Service issued the 34-cent Greetings from America stamps in a self-adhesive pane of fifty individual designs on April 4, 2002. The Postal Service held an official ceremony on April 4, 2002, in all fifty states and at the Mega Stamp Show in New York, New York. 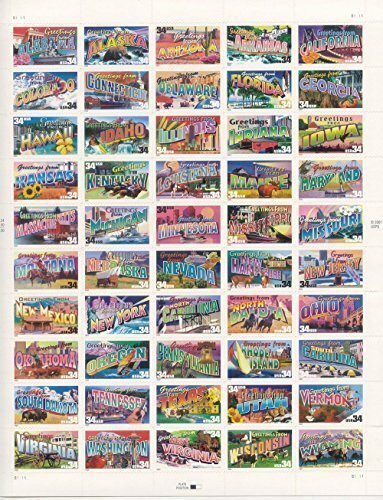 The stamps, designed by Richard Sheaff, of Scottsdale, Arizona, and illustrated by Lonnie Busch, of Franklin, North Carolina, represent each of the fifty states. The Greetings from America stamps were the first pane of fifty individually designed stamps issued in ten years. The artist was inspired by "large letter" postcards used to advertise cities, states, or tourist attractions. The postcards depicted local scenes inside big letters that spelled out the name of the place or attractions during the 1930s and 1940s. The bright colors and creative designs of these stamps hint at the romance of travel and discovery, conveying nostalgia for all aspects of popular American culture. Text on the back of each stamp lists the state's bird, flower, tree, and capital, as well as the date the state entered the Union. 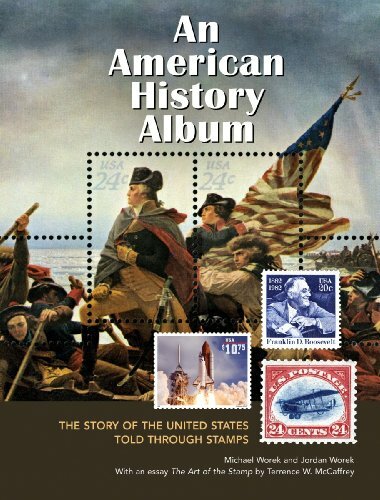 The Postal Service commemorated Classic American Aircraft with the issuance of a pane of twenty 32-cent stamps on July 19, 1997, in Dayton, Ohio. The stamps went on sale nationwide July 21. The pane was designed by Phil Jordan of Falls Church, Virginia, and illustrated by William Phillips, one of the world's leading aviation print artists. 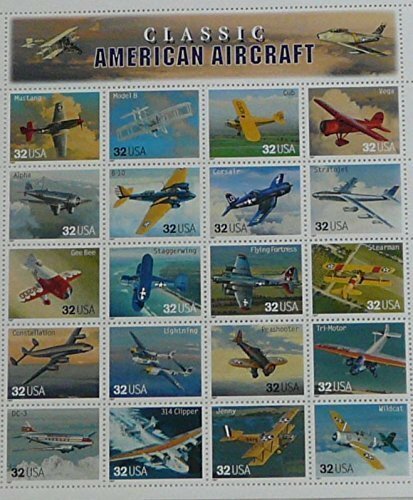 Twenty-two different classic American aircraft are featured on the pane, twenty on the stamps and two on the header. The civilian and wartime aircraft collection emphasizes the innovative and technological advances spanning the first fifty years of American aviation history. The stamps were sold only as a pane of twenty, not as individual stamps. This marked the fifth "Classic Collection" of stamps issued by the Postal Service. The aircrafts featured are: North American F-51 Mustang, Wright Flyer Model B, Piper Club, Lockheed Vega, Northrop Alpha, Martin B-10, Chance Vought Corsair F4U, Boeing B-47 Startojet, Granville Gee Bee, Beech Staggerwing, Stearman PT-13, Lockheed Constellation, P-38 Lightning, P-26 Peashooter, Ford Tri-Motor, Douglas DC-3, Boeing 314 Clipper, Curtiss Jenny, Grumman F4F Wildcat. NEW in stock...Order NOW! Gem Proof 2010-S Native American Dollar (also known as Sacagawea or Golden Dollar) All coins taken from 2010 Proof Sets and professionally packaged in 2X2's with gloved hands so they will arrive safely in pristine condition. These S-mint mark coins, proof struck the San Francisco Mint, are the most beautiful examples this coin because they display deep mirror-like fields and frosty design. 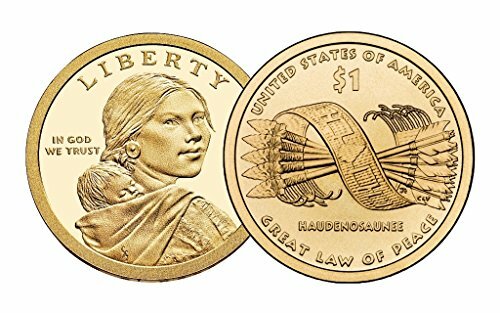 The 2010 Native American Dollar reverse design honors the Iroquois Great Law of Peace: The Great Law of Peace begins "We, the people, to form a union, to establish peace, equity, and order....". Sound familiar? Gayanashagowa or the Great Law of Peace of the Iroquois is the oral constitution whereby the Iroquois Confederacy was bound together. Sometime between 1090 and 1150 AD, the law was developed by a man known as The Great Peacemaker and his spokesman Hiawatha. Many believe it provided significant inspriation to the framers of the United States Constitution. Stamps from the 1910's, 1920's, 1930's and 1940's includes 40 mint US Postage Stamps. 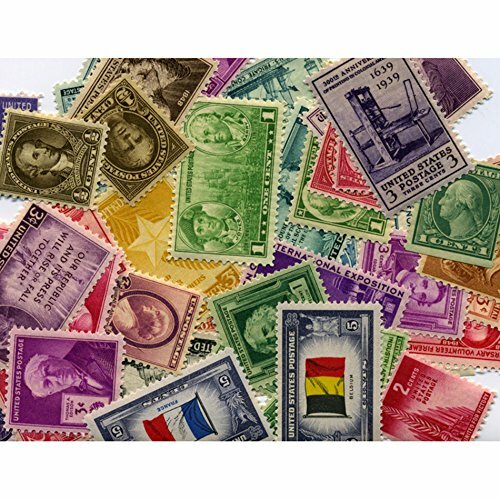 Enjoy stamps from the World War I period, the Great Depression period and the World War II period. Stamps are non-cancelled. Includes a Certificate of Authenticity. 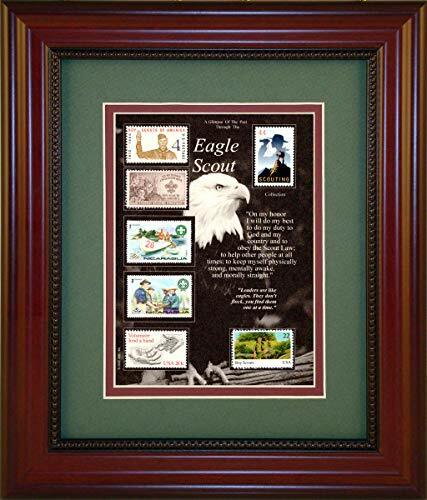 An inspiring collectible celebrating our nations Armed Forces. 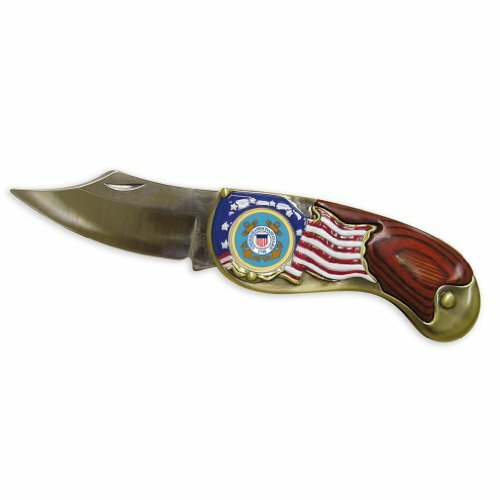 The front of this knife's wood-grain handle frames the Washington Quarter beautifully colorized with the Coast Guard emblem in the stars and stripes of a waving American flag. Knife blade is 3" long. Includes a Certificate of Authenticity. Looking for more American Stamp Collectibles similar ideas? Try to explore these searches: Keyed Patio Bolt, g10 Adapter, and Jersey Mesh Tank Top. 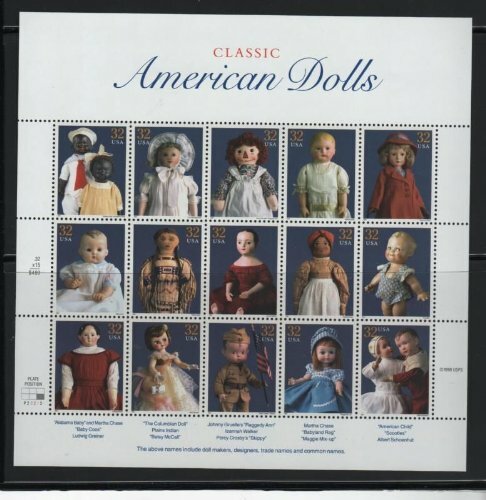 Look at latest related video about American Stamp Collectibles. Shopwizion.com is the smartest way for online shopping: compare prices of leading online shops for best deals around the web. 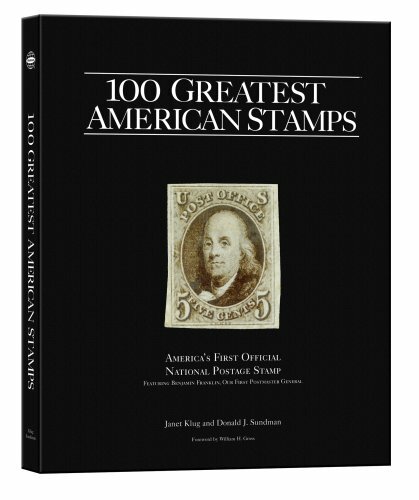 Don't miss TOP American Stamp Collectibles deals, updated daily.